Posted: Wednesday, November 11, 2015 10:30 am | Updated: 9:51 am, Thu Nov 12, 2015. If you’re a commuter who regularly drives on the Long Island Expressway, the Belt Parkway or Northern State Parkway, you might get rattled every time you hit the road and you get stuck in that Monday morning peak traffic. In the early 20th century, when motor vehicles were considered a luxury for the rich, you didn’t have to worry about traffic congestion being a problem. You also didn’t have to worry about which highway to take, as there were none. That would change with the construction of the Long Island Motor Parkway, which opened to the public in 1908. The driving force behind the Motor Parkway was William Vanderbilt, Jr., the great-grandson of railroad and shipping tycoon Cornelius Vanderbilt and an avid racecar driver. 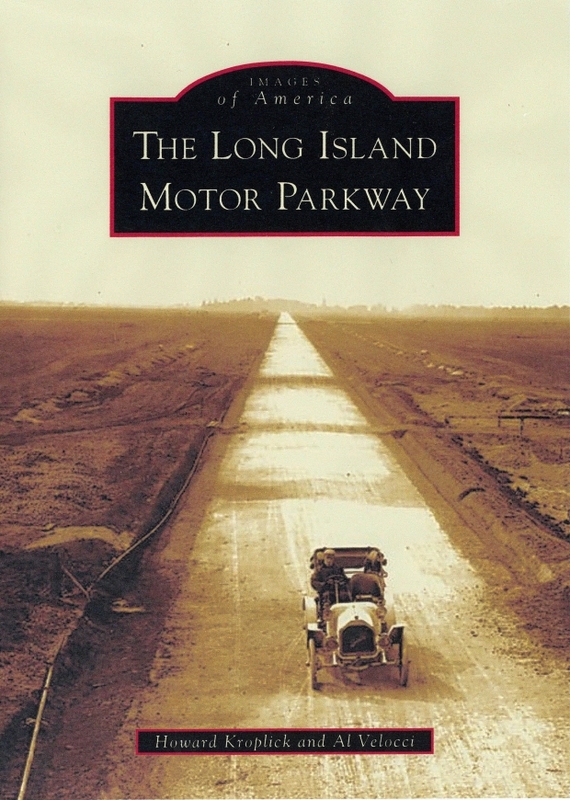 As detailed in Long Island historian Howard Kroplick’s book, “The Long Island Motor Parkway,”, co-authored with Al Velocci, Vanderbilt held an automobile race called the Vanderbilt Cup. These races happened on public roads where members of the public would come by to cheer on their favorite racers. They sometimes got too close to the action. During the 1906 Vanderbilt Cup, a spectator was killed after stepping onto the course. It was Vanderbilt’s dream, Kroplick wrote, to have a private road that would be restricted to automobiles and where he could have his races. “It has been the dream of every motorist to own a perfect car and to have a road without a speed limit,” Vanderbilt was once quoted as saying. When construction started on the Motor Parkway, it made use of innovative features “such as the use of reinforced concrete, bridges to eliminate grade crossings, banked curves, guardrails and landscaping,” Kroplick wrote. The Motor Parkway was 48-miles long, stretching from Kissena Corridor in Flushing to Lake Ronkonkoma, LI. If you thought the tolls were expensive now, when the Motor Parkway first opened up, the toll cost $2, which equates to $45 today, Kroplick wrote. Though the Vanderbilt Cup races held on the Motor Parkway were successful, the Motor Parkway struggled to make money, due to economic hardship. In the midst of the Great Depression the toll was lowered, 40 cents at its lowest, but was still too steep for most drivers. “Not enough people could afford to pay its toll,” said Kadinsky. A rival parkway was also being built and it had no tolls: the Northern State Parkway. Moses’ prediction came true on April 17, 1938 when Vanderbilt proposed giving the parkway to the public. It got into the hands of the Queens, Nassau and Suffolk counties in lieu of back taxes owed by Vanderbilt. Portions of the Motor Parkway still exist today in different forms. When the weather is good and you feel like taking a bike ride, take a trek along the trail that connects Cunningham Park and Alley Pond Park. The path still exists and it is maintained by the Parks Department. Wow - Robert Moses built some of the worst roads I’ve ever had the misfortune to need to use, yet he criticized LIMP, a real pioneer. Ignoring his bigotry and hate for mass transit, he ignored every lesson in how to build efficient highways. PA Turnpike, the Autobahn, and many other roads were far better designed AND built.